This is a Seasonal Rental. NO PETS Meticulously clean, turn key furnished house with heated pool and spa. 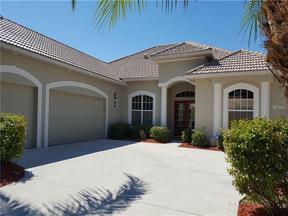 Shows like a model home overlooking pond with preserve view. King size master bedroom, queen and two twins guest bedrooms, plus a den. Formal dining room, great room, kitchen with breakfast bar, dining area and planning desk. Kitchen nook has aquarium window overlooking the pool and preserve. Oversized lanai, heated pool with pebble rock finish. Quiet family neighborhood, gated with community playground. THREE MONTH MINIMUM In Season rate $4000. Dec-Apr Off Season rate $3300 May-Nov Cable and utilities over $100. per month will be billed to tenant and payable upon receipt of invoice. Available April-November 2019.